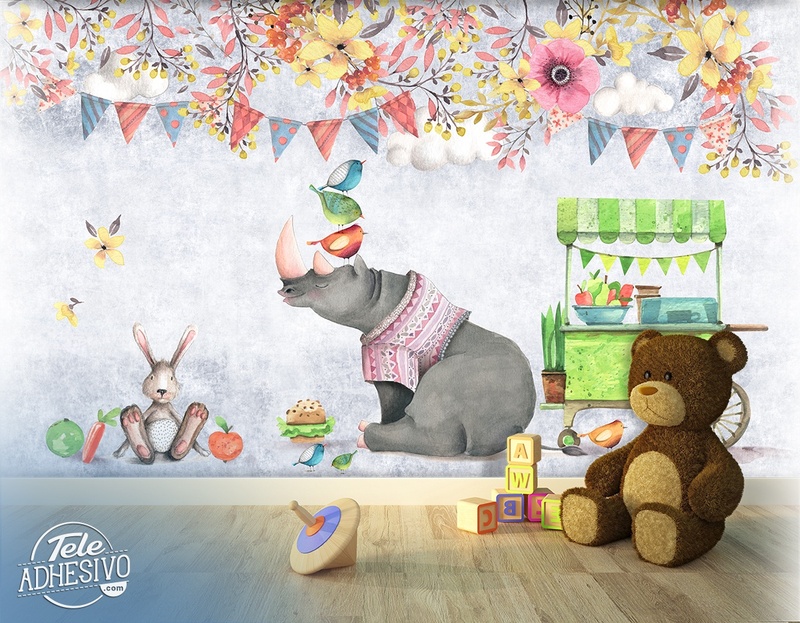 Wall mural Rhinoceros in the Park. 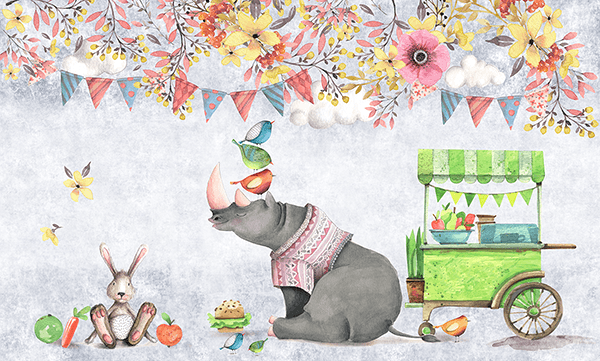 Children's illustration. 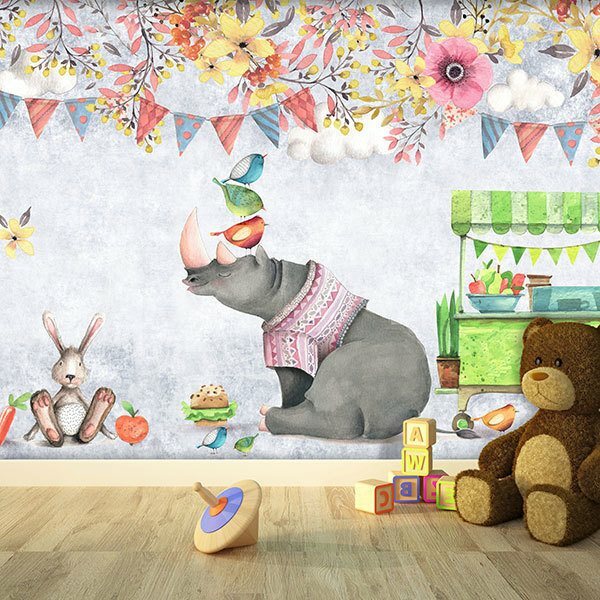 A rhinoceros with birds on its forehead and a rabbit accompany it. There is also a green stand selling fruit. Flags, clouds, branches and flowers intermingle at the top. A different and original design to place in your home.